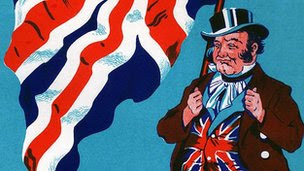 Tory Historian has made a momentous decision to concentrate in future blogs on books and what one can gleam from them. It will be a kind of a reading diary of books that might be considered to be relevant to the blog. First off, a book picked up in a strange little bookshop near South Kensington station and next to Daquise restaurant (which is still operating, TH is glad to say, and serving excellent Polish food). 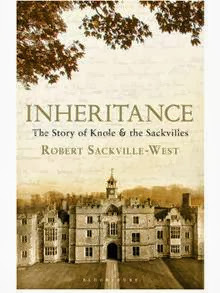 The books is entitled Inheritance with a subtitle that explains all: The Story of Knole and the Sackvilles, by Robert Sackville-West, the 7th Earl Sackville, a publisher and chairman of Knole Estates, and, with his family, the inhabitant of one part of Knole, most of which is open to the public. 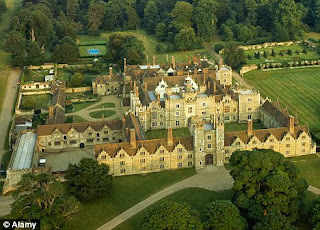 The story starts with that formidable and somewhat piratical Elizabethan, Thomas Sackville, 1st Earl of Dorset, who survived many things, including the enmity of the Earl of Leicester and who built Knole as the great Renaissance palace in the middle of Kent. Because the various documents to do with the building and decorating have been kept and have survived through the centuries, the names of the many workmen are actually known, something that is rarely true. On pages 14 and 15 of the paperback version there are names of ironmongers, stonemasons, locksmyths, brasiers, plommers, plaisterers and so on. These matches, and copies, show how the design scheme for Knole was assembled. They are also and example, more generally, of the Renaissance in action in England: of how ideas, or least motifs, spread. Thomas Sackville had been on grand tours of France and Italy in the 1560s, where he must have seen many of the new Renaissance buildings. He and his master craftsmen would also have been familiar with the pattern books, newly printed in France, Italy or the Netherlands, which circulated amongst a small group of builders, like source books or design magazines today, providing inspiration and templates. Patrons swapped ideas, and recommended - and poached craftsmen - to and from each other. Designs were adapted and spread across England, site by site, gradually creating a distinctive national style. This did not mean that the English builders necessarily understood the philosophy and intellectual principles that underlay the Renaissance approach to architecture: merely that they liked some of the devices, which they could then graft, in a pick-and-mix way, on to a more homegrown tradition. We have just been informed that copies of the new issue of the Conservative History Journal (our printed but friendly rival) is available at the Conservative Party Conference. More to the point, copies to existing subscribers are in the post and those interested in subscribing can do so on the Group's website: http://conservativehistory.wordpress.com/. You know it makes sense. 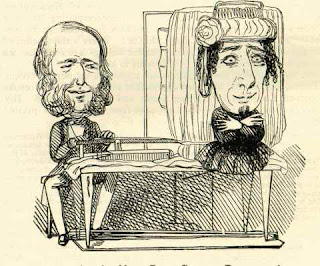 On the website you will also find information about the next event on November 25 in the House of Commons when Lord Hurd and Edward Young will speak about their new biography of Disraeli. There will be more information about the event nearer the time. It is a daguerrotype really but they are early photographs so that counts. This came my way from Iconic Photos, a site I had not been aware of. It has now been bookmarked. The picture dates back to 1844 and was made by Antoine Claudet, one of the pioneers in the field and a student of Louis Daguerre. Having acquired a share in L. J. M. Daguerre's invention, he was one of the first to practice daguerreotype portraiture in England, and he improved the sensitizing process by using chlorine (instead of bromine) in addition to iodine, thus gaining greater rapidity of action. He also invented the red (safe) dark-room light, and it was he who suggested the idea of using a series of photographs to create the illusion of movement. The idea of using painted backdrops is also attributed to him. From 1841 to 1851 he operated a studio on the roof of the Adelaide Gallery (now the Nuffield Centre), behind St. Martin's in the Fields church, London. He opened subsequent studios at the Colosseum in Regent's Park (1847–1851) and at 107 Regent Street (1851–1867). The photo itself taken in 1844 was a remarkable bridge across centuries. Memories of Elizabeth the First or the English Civil War were as fresh and recent to Wellington (born 1769) as Wellington or Lincoln is to us. 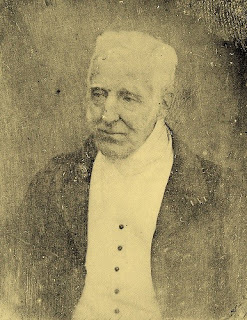 The photo was different from latter paintings and engravings based upon it — unlike the kindly old man which smiled down from the paintings, the photo showed a crankier, more determined Wellington — a face you truly expect from the Victor of Waterloo. I think it might be this portrait by Abraham Solomon, listed as being by an unknown artist here, that is meant here. 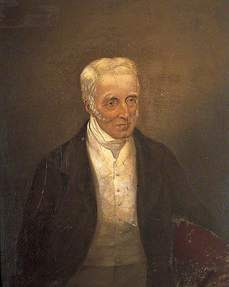 It is not nearly as good as earlier portraits or the photograph, which is well worth looking at carefully. The only problem is that while it is easily available on the internet, I have not been able to find out where the original is. This blog has already mentioned the History West Midlands site and the first issue of its magazine, West Midlands History. The second issue is out; this and the next issue are free, thereafter a subscription will be required. Not a big one and may well be worth it. The website has all the details. The magazine's second issue is about migration into the West Midlands from other parts of the country and from the world. The three most interesting articles are about Italian immigration, the Polish community and about the presence of black people in the West Midlands before 1807 (abolition of the slave trade). Other articles are also worth reading, of course, but these were the ones that really appealed to me. This year marks the 300th anniversary of the Treaty of Utrecht (1713), a complicated affair of many different treaties signed between various countries that brought to an end the War of Spanish Succession. Signed on April 11 (and yes, it ought to have been noted then), its principal provisions included the ceding of Gibraltar to Britain and so it has remained though from time to time the issue is revived by Spanish governments, particularly if there are economic or political problems in the country. Today is Gibraltar's National Day, established in 1991, to commemorate the 1967 referendum, in which all but 44 voters expressed a desire to stay British. Another referendum in 2002 produce a very similar result. Economic historians are not usually entertaining but David S. Landes, author of the seminal The Wealth and Poverty of Nations: Why Some Are So Rich and Some So Poor (it even has a Wikipedia entry all of its own) was as well as original. When he was accused of being "eurocentric" in his approach he did not deny it, pointing out that economic development that changed the world started in Europe and was based on European ideas. There is an excellent obituary in the New York Times. His son, Richard Landes, also an historian has collected obituaries, eulogies and articles that his father had written either alone or with others, including his son. But nothing can be better than reading David S. Landes's own work. Susan Abernethy describes herself as a free-lance historian, a category of people that is actually quite numerous but about whom less is written than about academics and teledons. She writes a blog called The Freelance Historian, which is TH's envy: there are many entries on various subjects that Ms Abernethy is interested in and they are all detailed and well researched. There is information about Susan Abernethy herself here and more in this interview. It is a little difficult to listen to a series that is broadcast at 1.45 pm every day on Radio 4 in fifteen minute chunks but there will be a so-called omnibus edition of all of this week's episodes this evening at 9 pm. The same pattern of broadcasting will apply next week, I believe. The programmes are also available on iPlayer. The BBC seems to think that a history of British conservatism that does not talk of nasty mill owners sending children up chimneys is obviously going to be "surprising". Anne McElvoy who would not call herself conservative in any way, gives an interesting summary of how she and the programme's producers approached the series and manages to pack every known name of anyone who can be called conservative in the article, though I notice she does not talk about the role of women in the Primrose League or the Conservative Party in general. In fact, there seems no mention of the League at all in the article though a little bit of understanding of its activity, as this blog has pointed out, would make the BBC even more surprised at the number of things it considers to be left-wing developments that were actually not. Mark Wallace, Executive Editor of ConHome has written a sort of a response to MsMcElvoy's article and series as it is so far. Here are a few paragraphs from it but the whole article is worth reading. Read the whole thing and try to catch up with the series. One can but hope it will be repeated quite soon but in the meantime there is the iPlayer. Here is a list of forthcoming events this year. The most memorable one is probably that of the unconditional surrender signed by the Japanese on September 2, 1945 on SS Missouri. (No, it was not the Emperor who signed it on Japan's behalf as President Obama once said, but by the Foreign Minister, Mamoro Shigemitsu and General Umezu. While the Emperor remained in place, there was an unquestionable regime change during a prolonged American occupation. One cannot really argue that Japan is not a better place for that. Moving backward into history, today is the 170th anniversary of the first issue of that venerable "newspaper", The Economist, founded by businessman and banker, James Wilson, to advance the repeal of the Corn Laws and, in general, dedicated to the notions of free trade. One wonders to what extent those ideas have been kept going by his present-day successors. Even further back: September 2, 1666, saw the start of the Great Fire of London that lasted for three days, causing a great deal of material destruction though few actual deaths. I have no intention of writing about it as the best possible account is available here. It is, of course, by Samuel Pepys.